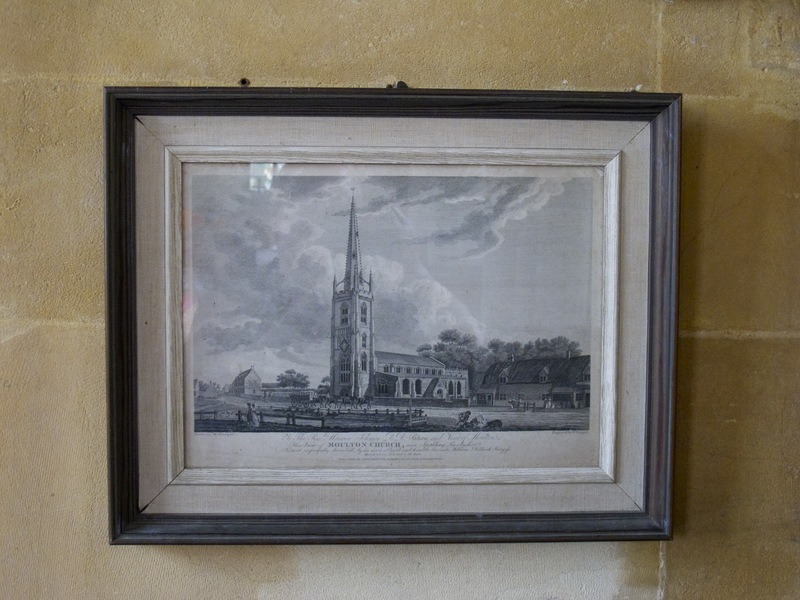 When I wrote about the drawing of Moulton Church by William Burgess, I hadn’t noticed that a copy of the engraving that he made from it is actually in the church. Finding pictures of the church you’re in displayed on its walls is another small pleasure. They may be old or new, professional or amateur, skillful or a bit ordinary: they’re always worth a look. And in their quiet way, they underline people’s constant need to express what they value by representing it, even when reality is all around to be seen as itself.